Tonight I got home early enough to take a shower before rushing out to pick up the babies. When I got to day care Elliott was sleeping in a swing and Martin started crying. I expertly identified the problem and was able to change him for the first time at day care. I ignored state law and changed him without the use of rubber gloves. Jen forgot her pumping equipment at work so when back at home I tried to hold them off as long as I could so that they may want to eat when she returned. 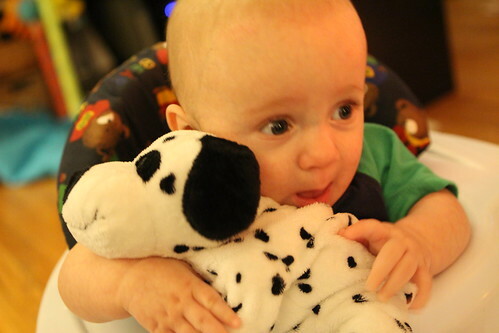 I was able to get Martin into an uneasy (yet frantic) state by distracting him with his stuffed Dalmatian. 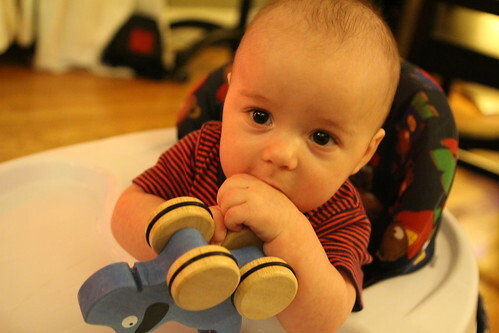 The same was true of Elliott as he gnawed on his rolling wooden doggy. Then I did a little dance and sang them songs all while they gave me the look pictured above. They were seconds away from losing their minds. After Jen returned home and we performed the normal nighttime routine it was 9:00 and time for us to begin taking care of the immense, painful hunger we were both feeling. I sneaked in enough time to throw a chicken into the oven. 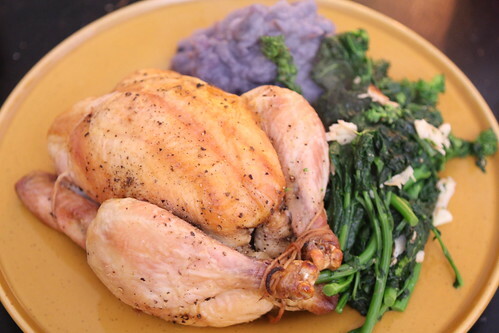 I made mashed purple potatoes and broccoli rabe with garlic to accompany it. This is a great meal if you need to cook whilst entertaining two babies on the brink of a meltdown. 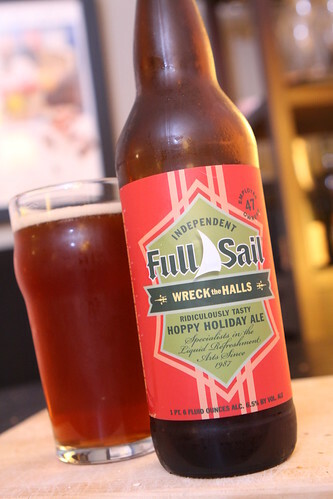 For beer we had this Wreck the Halls from Full Sail Brewing Co. I'd promised myself not to go overboard with seasonal beers this winter in an effort to catch up with my beer backlog. That has turned into a colossal failure and now I'm finding myself in a mad rush to get through the Christmas beers I have before epiphany. This was quite good, a very nice, malty IPA. 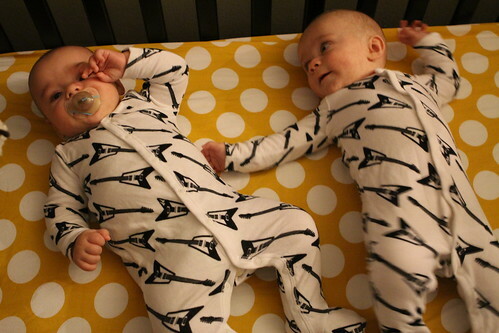 While we ate the Wombats slept soundly after we read them their book. Martin spent his precious last waking minutes in a martial arts pose reminiscent of House of Flying Daggers. 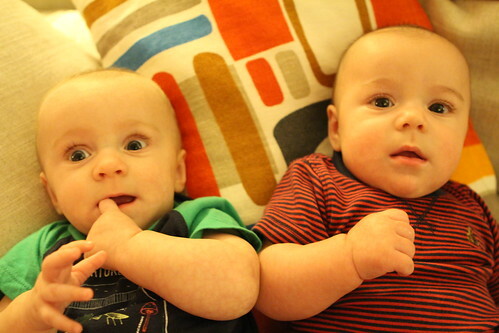 There is nothing more tender than a kidney punch shared between brothers.